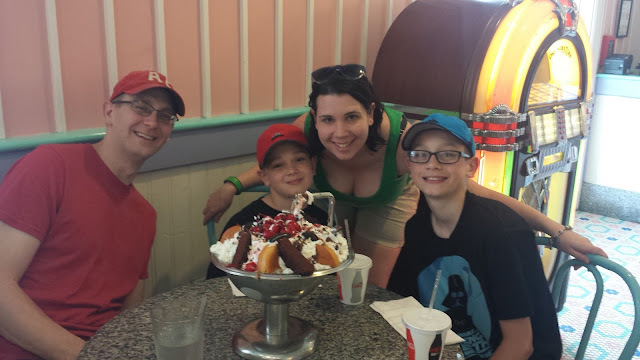 Almost everyone I know who loves Walt Disney World even a little bit has The Kitchen Sink on their Disney Bucket List - it was on mine! At home Rachel eats very healthy. No sugar, no grains, very little dairy. Disney Rachel eats ice cream. I think it is a good balance, don't you? 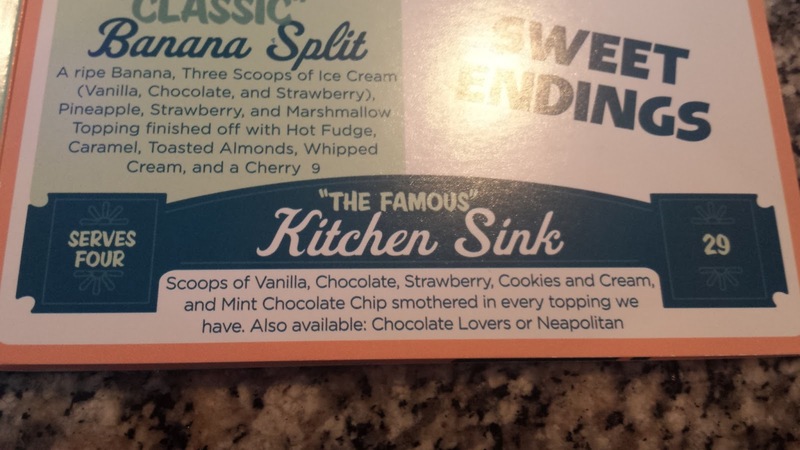 So... what's in a Kitchen Sink? Glad you asked. 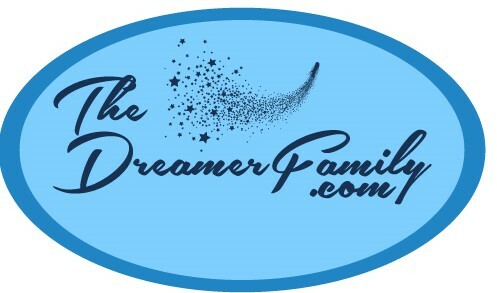 You may need to sit down for this one . . .
dairy whipped topping - A WHOLE CAN! maraschino cherries - I swear it was the entire jar, we had so many cherries! When a Kitchen Sink is brought out there are yellow flashing lights that come on and they do a BIG presentation. I like watching this video of when ours was brought out and watch the look on everyone's faces! So did we finish it?! I had 2 bowls. 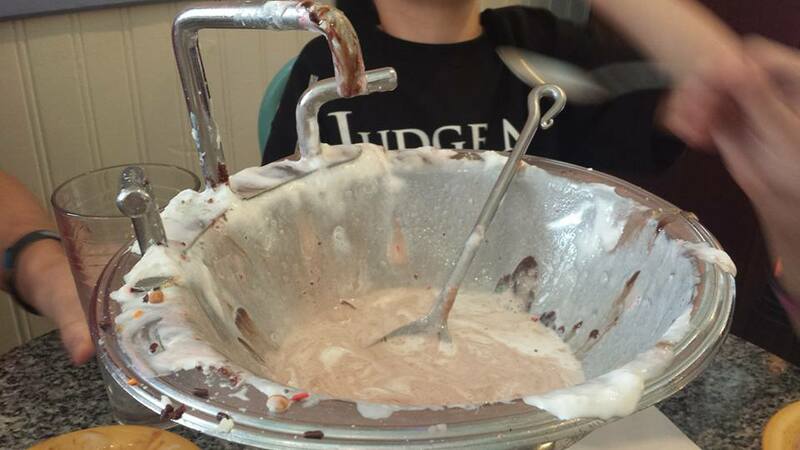 The boys each had 3 bowls, and Mr. Incredible had. . . 5 bowls. WE DID IT! My youngest told me he felt like he was going to puke - and in that split second I couldn't decide if I was the worst mother ever or the best. 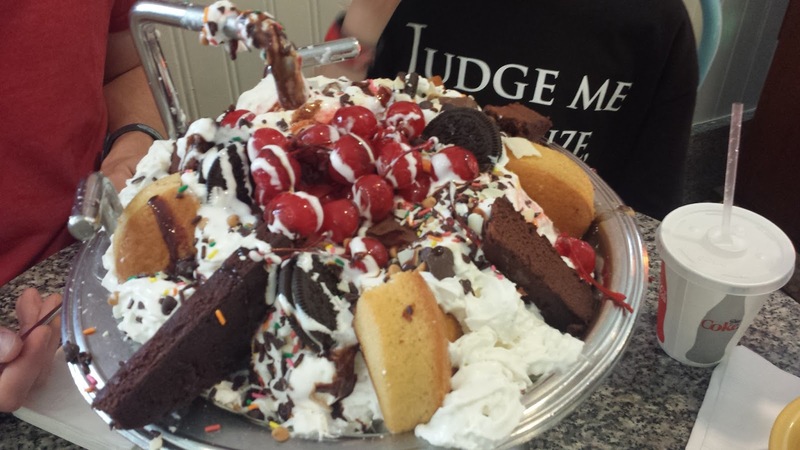 The boys had the biggest ice cream sundae in the world for lunch - I am going to say THE BEST! 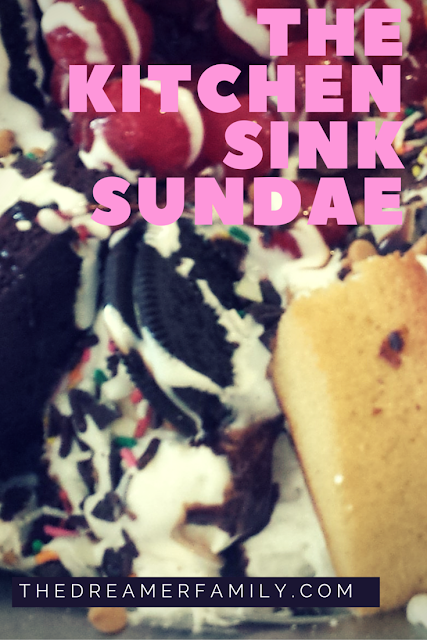 What would be your favorite part of the Kitchen Sink Sundae? Oh my gosh. That is insane! It looks so amazing, I wouldn't even know where to start. Now that is an awesome dessert! I didn't know about that dish! It has everything! Oh my goodness! That Kitchen Sink is just awesome! My boys have a big appetite and I am in doubt whether they'd leave some for me! OH MY GOSH. 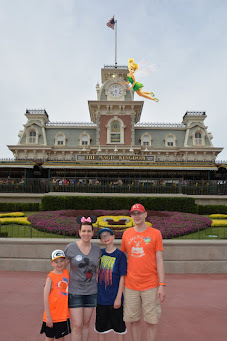 How have I missed this at Disney?! My hubby would be all over it!!! My kids would love The Kitchen Sink sundae. It looks so delicious and filling.